This old-world charm café bar is worth the little detour down to Dame Street. And it's clear to see we have history with this place. In fact, John Power held office over the road in Dublin Castle as High Sheriff of Dublin in the 1830s. 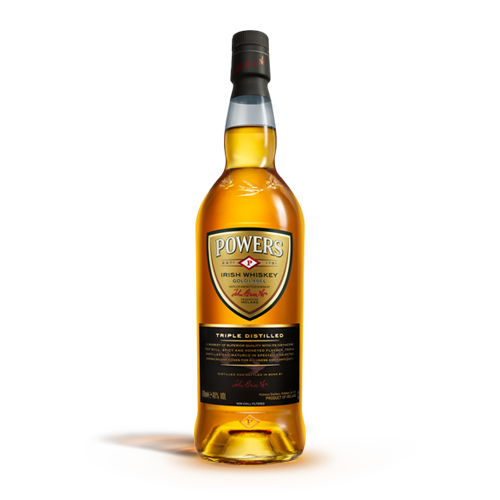 POWERS GOLD LABEL IRISH COFFEE. If you want to make it more luxurious, why not try it with John’s Lane Release 12 yr old. A celebration of the original style of Powers Whiskey. The cream of Irish coffee. The side bar here at The Oak has been fitted out with panelling from the ‘Mauretania’, one of the luxury liners that used to cross the Atlantic. And POWERS Irish Whiskey was the drink of choice onboard. In fact, you could have POWERS gold label delivered to your cabin.